Radmin is fast, easy and secure remote access software. 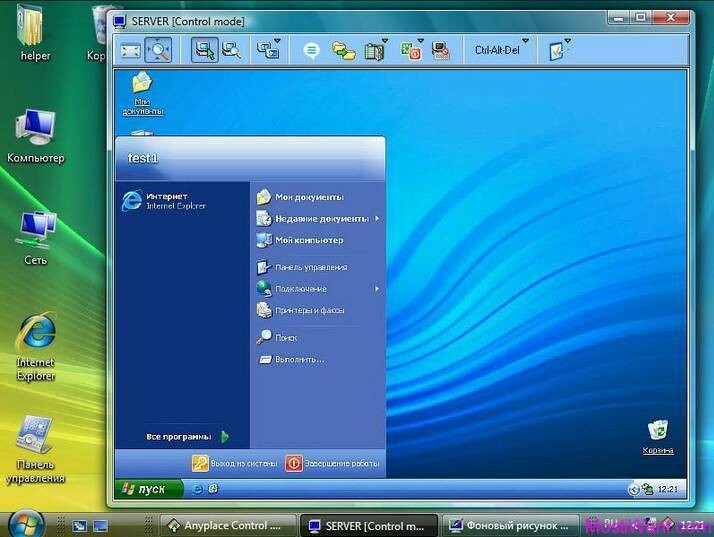 You can control a remote computer over the Internet or LAN in multiple modes: remote desktop view only, remote file access, full control, Telnet, text and voice chat. 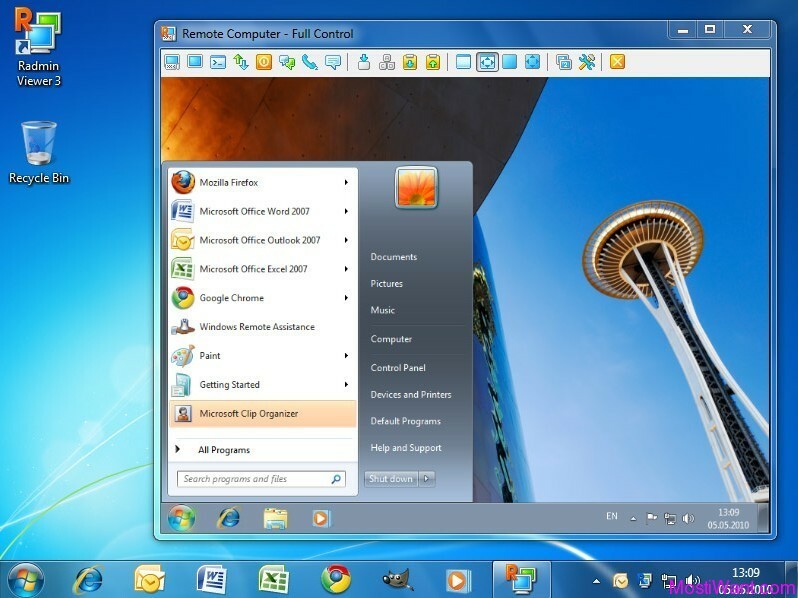 A remote computer screen can be viewed on a local monitor in either a window or a full-screen display. 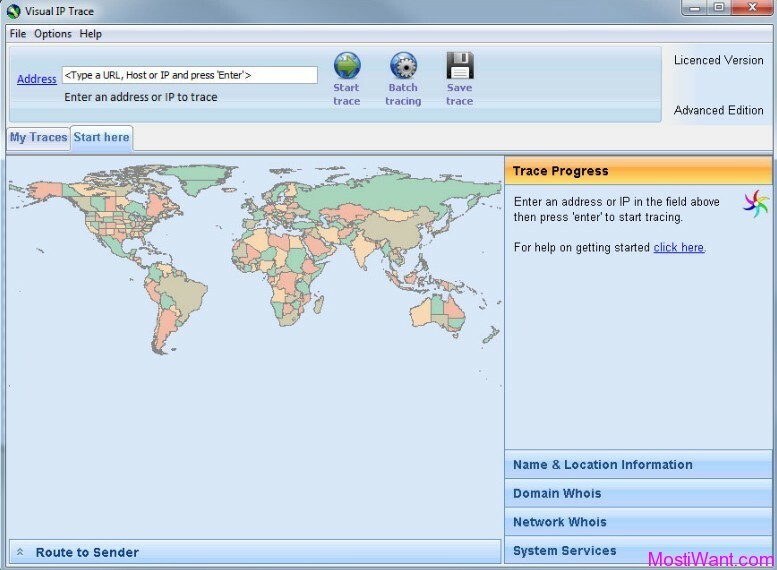 All mouse movements and keystrokes are transferred directly to the remote computer. Files can be transferred to and from the remote computer, and communication with the remote computer’s user is possible by either Text Chat or Voice Chat. Its reliability is widely recognized by millions of users. Radmin is a secure tool for telecommuting. You can access your office PC from home and operate it as if you were using its own keyboard and mouse. Radmin software is quick to setup and easy to work with: simply install Radmin Server on your office PC that you want to access and Radmin Viewer at your home PC or laptop and work remotely. Radmin is a solution to help friends and relatives with their computers remotely. Access the remote desktop and forget about giving instructions by phone. With Radmin you can also manage your home network and your smart house from anywhere. Radmin’s key features are: Windows 7 support, Windows security support, 256-bit AES encryption, multiple monitors support and its incredibly fast unique DirectScreenTransfer(TM) technology. Support of Intel(R) AMT (Active Management Technology) enables remote computer access even if the remote computer is turned off or you cannot start its operating system. You can turn on, restart and shut down remote computers. The key strengths of Radmin remote access software are its strong security, high speed and reliability. Radmin normally costs $49 per lifetime license to purchase. But thanks to a giveaway held on mostiwant.com you can get it for free. 1. Subscribe to Our blog by email. 4. Write a short comment to this post (A valid email address must be entered on the “Mail” field so that we can contact you and send you the license code. And do NOT post email address inside comments to avoid spam.). 5. One person can get only 1 license. The Giveaway will end on 1st Apr.2012, 12:00 PM GMT. I will announce the winners on 2nd Apr.2012. The License Key will be sent in the day of the announce of winners to the e-mail you pointed out during subscription. This post is written by Olga from Radmin. Thanks him so much for this great giveaway. Really useful program with a license I’ll be able to use it at work for some remote support. Thank you very much for that program, and license for it. Thanks a lot for program! Thanks. I have been looking for such a software for a long time. Thanks! It’s one of the best remote administration softwares. Thanks for this contest. Radmin is loaded with options that ease the pain of working with a distant computer. The software is easy to set up, stable and offers security of the transmission. Can also be used for chatting and transferring files, how cool is that. Access to applications remotely, multiple connections support, and much more. Radmin includes Kerberos authentication, telnet access, and 256-bit AES encryption for data streams. Helping, ‘remote’ diagnosis is often very difficult but with Radmin impossible can be possible. Forgot an important file on your home desktop, Radmin can help to access it easily. Its a great software. I missed it on a giveaway in softpedia, its nice to hear that it is now available in mostiwant. Its a gr8 software. It is one of the best remote administration softwares which puts very little load on the system and runs efficiently even with less bandwidth.. Thanks William and MostIWant Blog! Radmin is one of the best tool for remote management. I really like this tool as it is very light on memory resource and still running on the slow connection. Very best feature. Hope to be the Lucky Winner! 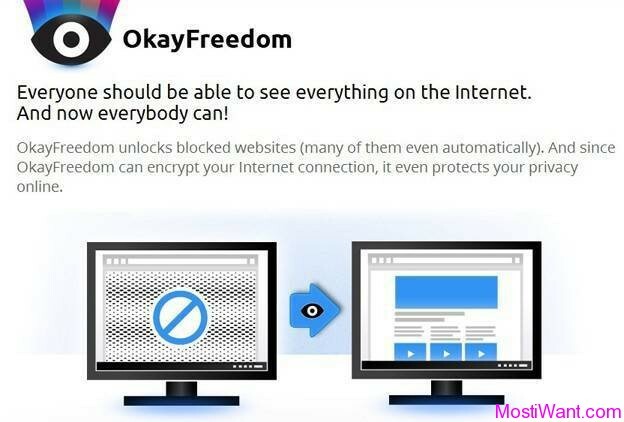 Liked this on facebook – this is great remote access software and I would like it to help my girlfriend on her PC. Please count me in the draw! First of all thank you for the nice giveaway. Radmin is one of the best Remote Support Software I’ve ever used. As an IT professionals it would be a gem in my arsenal. I can access my personal pc from around the city using secure connection. Nothing to worry about. Completed above steps and count me in for the giveaway. Best Regards. Radmin is one of the best tool for remote share, etc. Thanks again for bringing the tool for which I have been waiting for. On personal front I have used TeamViewer. In office environment I have used VNC and TightVNC. Additionally I also tried LogMeIn but wasn’t able to understand it. My main motive in using the remote tool is to help my parents who are in another country and have very less knowledge on using a laptop, even gmail and other simple things. 3. Special keystroke handling and optional Full keyboard control. 4. Remote screens can be displayed inside a window or full screen with smooth scaling and the original aspect ratio. 6. DNS name and user name info added to the log file. It’s going to be very useful not only for me but also for my parents as the interface is easy to use from their end, and gives me better option to help my parents. Liked Radmin & shared the giveaway. I want a license, please count me in. Radmin is the best software for remote computer control. I tested many programs of this type and Radmin fared the best, keep a good quality with a slow internet connection, and allows you to do everything including restarting the computer. Thanks for the contest! Wowww this is my favorite Remote Control,this is the best for for control my friends PC,thanks for this best Giveaway. Thats a very good software for networking people like me. i can use it, if i get one. Radmin is very good app to control PC remotely. wow a very old fav of mine, radmin. been using their scanner for long time now, thanks for the giveaway. I have been looking for a remote software as good and as powerful as radmin. I believe the live chat with users is very important because some users are not that up to speed with technology and sometimes speaking to them on a live chat helps me guide them through the issues they are having. 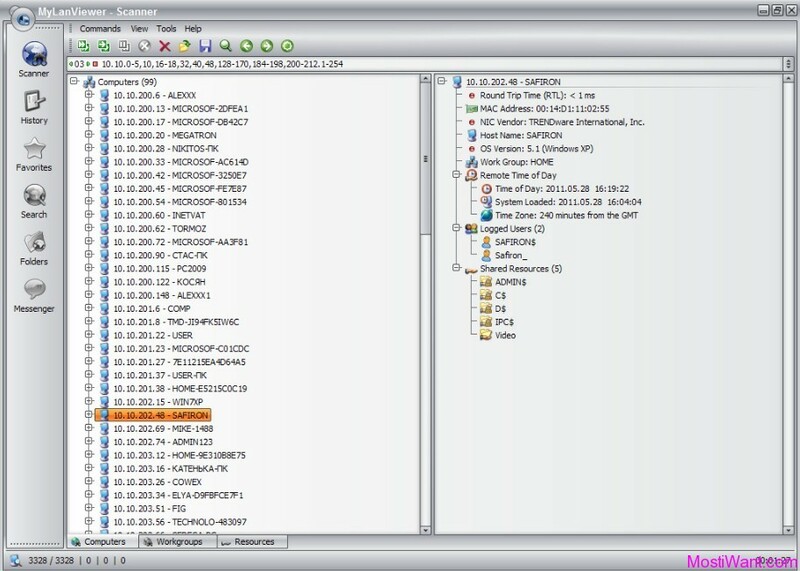 The radmin software is great for remote updates on computer systems it saves time by not needing to go out on site. I would love to have a full copy of this software. Please count me in! Thanks for the awesome giveaway guys! Thanks for the chance, sounds great! Great app. Would like new features ! Radmin is very good app to control PC remotely. I really would like to win a lisense mainly because it’s lifetime license.